In the United States, there are happy states and there are sad states. It’s a huge country after all, buttressed by no shortage of socioeconomic disparity, injustice, and um, dogs. 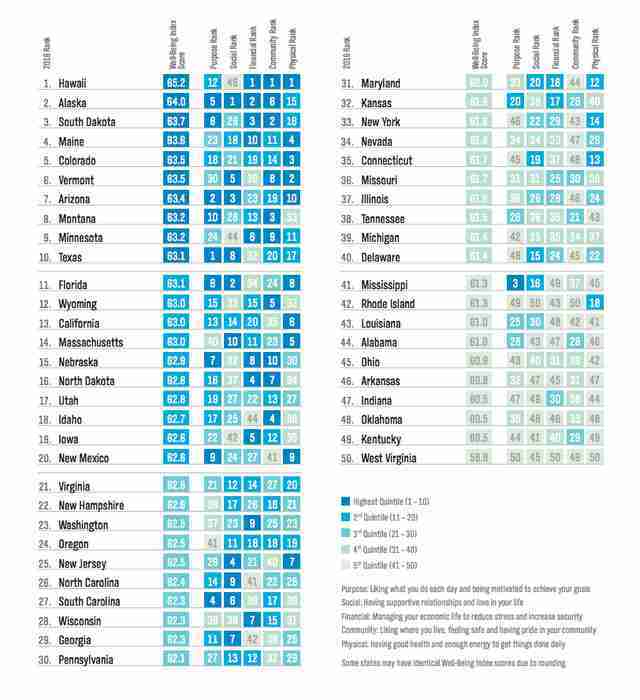 But when it comes to overall quality of life and happiness, which states are the best? 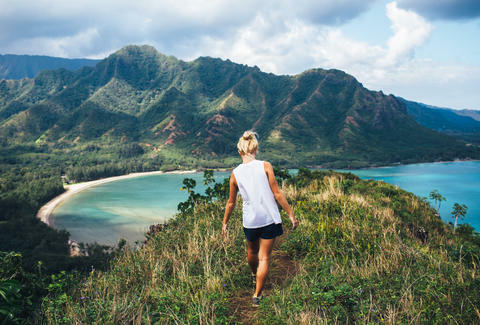 If you’re living in Hawaii, you’re probably surfing and hiking and enjoying life, according to Gallup-Healthways 2016 State Well-Being Rankings. America’s only tropical state claimed the no. 1 spot again this year, for the sixth time since the survey began nine years ago. Alaska, South Dakota, Maine and Colorado rounded out the top five, proving that mountains and clean air must make people feel happy. With its Rocky Mountain tops and proclivity for banquet beers, Colorado has reached the top 10 every year of the survey. Citing interviews with 177,000 Americans over the course of 2016, Gallup researchers ranked every state in the union, citing respondent’s personal contentment as their primary metric. Gallup probed certain key areas, asking respondents whether or not they feel financially stable, physically healthy, or involved in their community. It also asked people if they're socially active and feel as if their lives portend to a greater purpose (yikes). The survey then ranked all the states in these areas, too. But, as misfortune would have it, there are unhappy and unhealthy states, too. Arkansas, Indiana, Oklahoma, Kentucky and West Virginia qualified in the bottom five slots. West Virginia, the survey notes, has placed 50th for eight consecutive years. “It’s a place that consistently, year after year, is on the low end of the wellbeing spectrum," Withers said of West Virginia. "We’d really like to see that get better for the sake of the residents who live there." For a complete list of all fifty states, take a look at the report, or peruse the chart below.